It might be argued that Scotland was never exactly 'forced' into doing anything. Its Parliament voted overwhelmingly to enter into a union with England. Its politicians scribbled their names onto the document which made it so. But the kind of people who state such points mistake the will of hand-picked leaders with vested interests, for the opinion of the actual population. Only an estimated 1% of Scots wanted their country to lose independence in 1707. The signatories to the Union with England Act did so behind locked doors, with an angry mob ready to tear them limb from limb. Yet there was nothing Scotland could do about it, once the ink was dry. Scotland and England are the two largest nations within the British Isles. Endless wars have been fought along that border. For much of both countries' history, there have been repeated attempts to unite Scotland and England under a common leader. Whether it was Roman legions pushing north; early English monarchs with armies, diplomats or marriages; or Stuart royals with wish-lists, those cards had long since been on the table. Scotland had always resisted with all its might. Even clawing back independence, when it seemed utterly lost. As late as 1702, William of Orange had proposed a union between Scotland and England. His idea met with a lukewarm reception both sides of the border, so was quietly dropped without another word. But just four years later, thirty-one Scottish Commissioners rushed down to London to negotiate the terms of precisely that joining of the kingdoms. English peers quickly signed into being the Union with Scotland Act. Then, on May 1st 1707, members of the Scottish Parliament signed away their nation's independence with the twin Union with England Act. 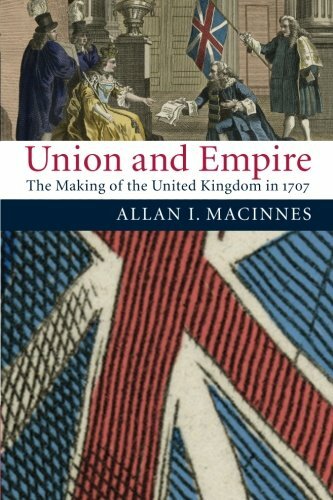 Why was the Act of Union 1707 Acceptable in England? A royal succession crisis was looming and some English peers saw control over Scotland on the verge of dripping away. Much of the previous century had been marked by turmoil and war, concerning the crowned heads of England and Scotland. Particularly since those monarchs were one and the same. In 1603, James VI of Scotland was invited to become James I of England too. He'd moved south with his family and entourage, and promptly styled himself more English than the English. 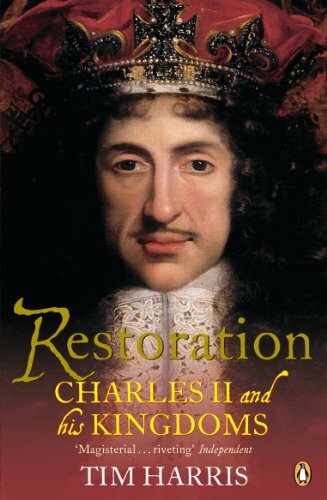 His son, Charles I, inherited both kingdoms at his coronation. But ended up on an English chopping block in Whitehall, losing his head to the cries of republicanism. This was not an action sanctioned north of the border in Scotland. Oliver Cromwell's Commonwealth nominally included the Scots too, but they were having none of it. The Protector rode his New Model Army roughshod across the country to impose a measure of martial rule. His annexation dissolved instantly when Charles II - son of the deposed Charles I - regained his English (and Scottish) throne. Charles's brother, James VII of Scotland and II of England, succeeded him. 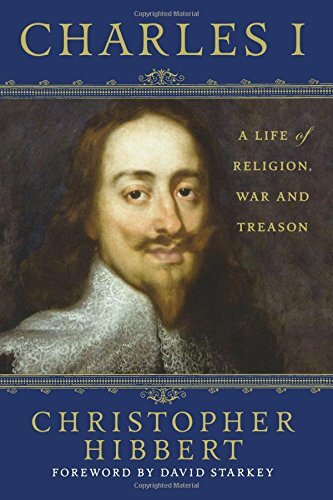 However, he was too Catholic for English tastes, and was soon sent packing in the 'Glorious Revolution'. 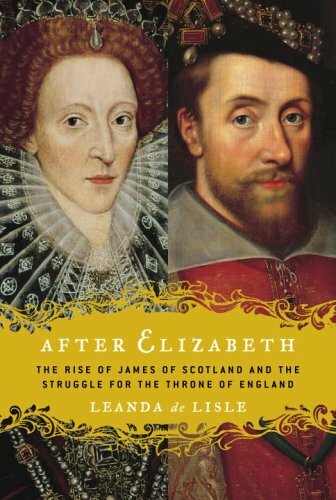 While many Scots could reconcile themselves with this turn of events, the fact remained that yet another of their monarchs had been deposed by the English. The discontent could be sniffily stifled in the largely Presbyterian lowlands, but not so much in the Catholic heartland of the Highlands. James's Protestant daughter Mary was invited to reign over England and Scotland, along with her Dutch husband, William of Orange. 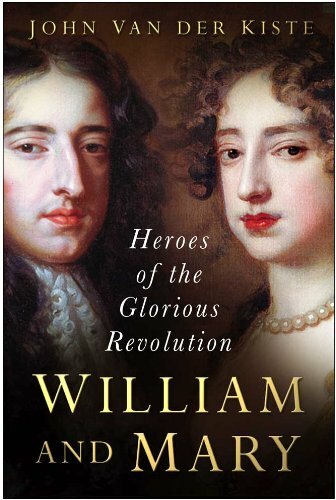 In Scotland, the reign of William and Mary was marked by the Jacobite struggle to reinstate her father. The Battles of Killiecrankie and Dunkeld, as well as the infamous Glencoe Massacre of 1692, were all part of the kickback against English hegemony in matters of Scottish royalty. Then, in 1702, Mary's sister Queen Anne took the throne as the last Stuart monarch of Scotland and England. Despite nearly twenty pregnancies, including many live births, she did not have a surviving child. A succession crisis loomed large on the horizon. England was determined to thrust its own choice of monarch onto its Scottish neighbors, despite the fact that there would no longer be any good reason for the Scots to comply. Maintaining control through a joint monarch ruling from the south was the impetus for the English to agree to an Act of Union in Britain. These kings and queens were Scotland's royal family, invited to rule England too. The joining of the crowns paved the way for the Act of Union. It was like watching a tennis match. The two parliaments threw legislation like political hand grenades at each other across the border. In 1701, the English Parliament had unilaterally passed an Act of Settlement, awarding itself the right to choose any future king or queen of Scotland. The Scottish Parliament were neither consulted nor knew of it, until after the bill had been given the Royal Assent. It responded, in 1703, with its own Act of Security, which stated that Scotland chose its own monarchs. Queen Anne refused to agree to that one. Until the Scots with-held all payment of taxation in 1704, then their queen reluctantly gave in. By now, the gloves were off and a volley of legislation was passed north and south of the border, each designed for the maximum inconvenience of the other country. In Scotland, the Wool Act banned English wool from entering the country; the Act Anent Peace and War forbade the English Parliament to embroil Scotland in a war without consulting its Scottish counterpart; and the Wine Act allowed French wine to be imported into Scotland, despite the fact that England had ordered an embargo on French goods. In England, the Alien Act (1705) promised to make every Scot living in England an enemy alien, with their property and estates confiscated, and sanctions imposed against every major Scottish export south of the border. They weren't subtle about it. The bill's heading made it clear that this was in retaliation for 'several acts recently passed by the Parliament of Scotland'. The only way to avoid such punitive restrictions was to agree to negotiations concerning a political - not merely regal - union between England and Scotland. There was a deadline of six months. In Scotland, the people and peers alike were utterly incensed. Yet a party of Scottish Commissioners was nevertheless scrambled to make the journey to London, in order to negotiate the terms of a Union treaty. Scotland's Act of Union with England served as a stark reminder that a nation's fortunes are rarely with its people, but with those sitting at the top of the pile. Sir John Clerk of Pennycuik (pictured right) was one of the leading lights of Scotland's union with England. As a commissioner for the Union of the Parliaments, the Scottish MP helped negotiate the terms of the treaty; and he was amply rewarded for his efforts. Yet even so pro-Union a man as he admitted that they acted 'contrary to the inclinations of at least three-fourths of the Kingdom'. His parliamentary colleague George Lockhart of Lee was less generous. 'The whole nation appears against the Union,' he observed, though he could rest his conscience on the fact that he was the only Commissioner arguing against unification. Pulpits rang with condemnations of the proposed Union. Fearful of having the Church of England imposed upon its parishes, Scottish clergy were pretty much uniformly against losing Scottish independence. People and petitions flooded into Edinburgh from all over the country. All ardently anti-union and doing their level best to stop this happening. It's often supposed that Scotland's merchants were highly in favor of the Union, because of the increased opportunities for trade. This most definitely wasn't the case. The Convention of the Royal Burghs of Scotland - which represented the interests of Scottish trading towns until late into the 20th century - also submitted an anti-union petition. In fact, not one pro-union petition was received by Parliament throughout those months of negotiation and ratification. As for the Scottish people who came in person to argue their nation's case, or who demonstrated and rioted in towns and cities across the country, their politicians had no patience for their plea. By late 1706, troops had already been ordered into places like Glasgow and Edinburgh, in an attempt to disperse anti-union crowds and to curb increasingly violent mass public disorder. An English reinforcement army was stationed on the border. As soon as power passed to the first Parliament of Great Britain, its representatives imposed martial law throughout Scotland and put down the protests by sending in the military. Why Did the Scots Sign the Act of Union? Corruption, bribery, religious concessions and misreading the mood of monarchy all played their parts. In short, most of the Scottish Parliament were 'nobbled'. The leader of the anti-Union 'Country Party' was James, 4th Duke of Hamilton. In late September 1705, he waited until most of the Scottish members of parliament had gone home for the day, before he made a startling proposal. Hamilton opined that there were too many feuds and wrangling amongst the Scottish peers. They should allow their queen to decide who would negotiate the terms of union with England. Queen Anne - who had only briefly been to Scotland once as a child, spoke just about England at her coronation and referred to Scotland during her reign only in terms of safeguarding the security of England - was thoroughly delighted to be asked to nominate the Scottish committee. She filled it with pro-union peers. Hamilton had utterly misjudged his monarch's 'neutrality' in Scottish affairs. With the Union debate thus so heavily loaded to favor English interests, it's hardly surprising that the will of the Scottish people barely penetrated parliament. Yet ensuring that the votes came in with the right answer was an enterprise run like a Mafia operation. Large sums of money passed hands. A decade before, the disastrous Darien Scheme had left many wealthy Scottish families substantially poorer. Suddenly the Bank of England began paying out 'compensation', but with a blatant political bias. An avowed 'yes' vote made a member of parliament eligible to claim. John Campbell, 2nd Duke of Argyll was given £20,000 from the English treasury, to pass out as 'payments for arrears of salary' to those peers willing to vote for the union. He kept most of it himself, while also accepting many other 'lavish (material) rewards'. In addition, Argyll managed to wrangle two English peerages (Baron Chatham and Earl of Greenwich) for himself, and a Scottish peerage (Lord of Islay) for his younger brother. Other members of the Scottish Parliament were also able to trade their acquiescence for personal gain and promotions at the court of their queen. Right up until the eve of the vote, the Duke of Hamilton remained outspoken in his opposition to the union. But on the day, he didn't turn up, citing toothache. In the aftermath, his cripplingly high debts mysteriously disappeared into the ether. 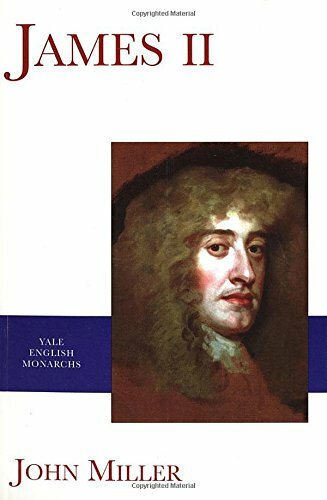 He was also suddenly awarded two English peerages - Duke of Brandon (with estates in Suffolk) and Baron Dutton of Cheshire. 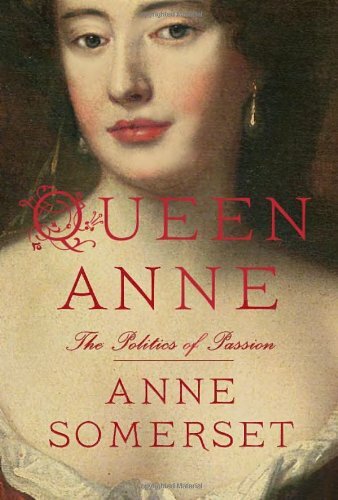 Queen Anne knighted him in the Order of the Garter, and the new British Parliament made him ambassador to Paris. Meanwhile, the Duke of Queensberry - who was credited by the monarch as orchestrating the whole union, with his ability to find the pressure points of peers, and press - was made Duke of Dover. He was awarded £3,000 a year, for the rest of his life, paid for by the English Post Office. It wasn't all bribery and corruption of the monetary sense though. Some inducements played for hearts and minds. 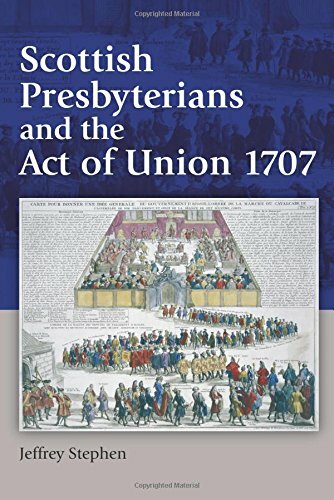 Presbyterian Kirks fell silent in their opposition after the Act of the Security of the Church in Scotland was placed before the house. Safe-guarded from post-union religious interference, the clergy stopped issuing sermons against it. On January 16th 1707, the Scottish Parliament ratified the Union with England Act by a majority of just forty-three. 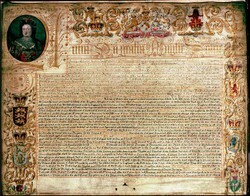 It was formally dissolved on April 28th, ahead of the signing of the Act of Union on May 1st 1707. Lord Seafield called the loss of Scottish independence 'the end of an auld sang', but it didn't stop him signing the treaty. On May Day 1707, the streets of Edinburgh were practically impassable. Crowds surged and desperate parties searched high and low for the place where the Act of Union would be signed. When a group of erstwhile signatories were spotted in a tavern, a cry went up. The men had to flee for their lives, eventually being escorted terrified into the grounds of Moray House. With the gates padlocked, but dangerously rattling under the weight of the mob outside, Lord George Seafield and his associate peers dared not hide in the house for fear of it being stormed. They huddled in the summerhouse, where they set their names to the reviled document. Elsewhere, other signatories had equally hair-raising moments, while committing their country to the rule of Westminster. One set scurried into the coal cellar, beneath a house on the Royal Mile. With the shutters locked behind them and a single candle lighting the gloom, they signed their names. Books, guides, DVDs and other merchandise relating to an independent Scotland. Things have changed, Scotland has always been on the cusp but now the mood and politics are changing. A tory landscape does not impress those living in Scotland and being dragged out of the EU is just the icing on the cake. I believe that there are not distinct nations, but there is one human race that is governed at various levels according to cultural and geographical facts. Thus at one level Scotland is a cultural entity, and therefore should have a Sottish government, but at another Britain is a geographical reality that must have a British government, and above these come Europe, and there should be governments at each level. Gavin Alexander is correct on Defoe who was a spy for the English Parliament as the quote from him makes quite clear. He said himself that had it been known, he would have been torn limb from limb by the angry Scottish mobs. I think there's an error in there re Daniel Defoe: he was an active unionist and paid to act as a spy for the English Government, not the Scottish Parliament, as stated in the text. Obviously when I said that we are all British I did not mean any offence to people from Ireland,who are not British,but readers of these pages will know that I am a true friend of Ireland. You ought not focus just on one act of treachery, for the upper classes of England and Scotland have their hands steeped in blood and have a record of disrespect for the lower orders and other races. Go through history and reflect on massacres committed by both English and Scots, on each other and sometimes their own people. The massacre of the McDonalds of Eigg was committed by Scots with not an Englishman in sight, to give one example, and the massacre of Glencoe had little if any English involvement. Yet the appalling behaviour of English troops in Scotland in Plantagenet and Tudor times were atrocities of which no Englishman should be proud.Yet Henry the Eighth massacred not only Scots at the rough wooing, but he also slaughtered English Catholics after the pilgrimage of grace. I know that you Scots lament Flodden, but no Englishman celebrates it. What is there to celebrate in bloodshed? Nothing. Both English and Scots shared in the evils of the slave trade, and both nations sent troops who did evil deeds in Ireland. The burden of my comment is that the two nations should work together to forge a common future in a spirit of friendship and respect. As an Englishman, David, I respect the Scots' need for self-governance, but I want it to be in a strong political union with an England friendly to Scotland and its other neighbours. I speak as an Englishman who is half Irish, and it is my ability to accept a multiple identity rather than to exclusively define myself as only English that gives me hope that the future of these islands will be when we can all accept that we are all British. We should respect each other's heroes. I respect William Wallace as a great hero, even though he would have been no friend of mine. Excellent. Thank you. This treachery now in the process of being reversed. Scotland's Act of Union with England served as a stark reminder that a nation's fortunes are rarely with its people, but with those sitting at the top of the pile-of course this only applies to the past,because nowadays our leaders are super honest and listen to what the proletariat want. Really bad article with no references only opinions. History is written by the winner. Scotland's being subject to this. Far from being a small insignificant country at the edge of Europe, Scotland punched way above her weigh in the political sphere. That was erased from history after the union. Until 1603 England's claim to fame was it was populated by pirates & cutthroats! She had been at war with France for most part of the previous 300 years. The Stuart dynasty under James VI stopped this & peace with all its fiscal benefits began to flood into England! That mingling would be fine by me too, if it didn't lead to one dominant party imposing its will upon another. If we could all share our gifts and our heritage, rather than English and England promoted at the expense of all things blatantly Celtic. I say 'blatantly', because the entire Isles contains that Celtic undercurrent. The Union Jack, as it's commonly known, was meant to represent the United Kingdom. It says more about England as a superpower.